3. received complaints from series of friends (1,2, ... etc) that SimplyLearnt looks a mechanical website without real ppl behind. 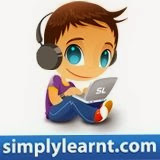 - the SimplyLearnt Times - what's new, what's hot and ofcourse! what stinks on SimplyLearnt. - the Vent: Sameer says that life of an entrepreneur is like a pressure cooker if they do not vent sometimes, they run the risk of blast - so yes this will be a blog where I talk abt the challenges , issues, successes and failures of bootstrapping businesses. - the LIFE: To my friends concerns, we are very very alive company and we will use this blog to let everyone know of the same..
so like our last post - here's hello world to everyone. Great to see that the MouseDriver Chronicles helped shape your blog thinking. And glad you enjoyed the book. I'm starting to take a similar approach with the WhitePages blog; http://blog.whitepages.com. It's all about humanizing the brand/company. this is great - I never assumed you folks were that responsive. It's the beauty of being able to monitor conversations via social networking tools! I'm tracking your blog so can jump in to provide insights/comments wrt entrepreneurship. Fun stuff!